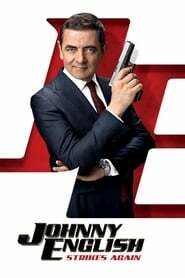 Johnny English Strikes Again (2018) BluRay 480p, 720p After a cyber-attack reveals the identity of all of the active undercover agents in Britain, Johnny English is forced to come out of retirement to find the mastermind hacker. Your Highness (2011) BluRay 480p, 720p When Prince Fabious's bride is kidnapped, he goes on a quest to rescue her... accompanied by his lazy useless brother Thadeous. Child 44 (2015) BluRay 480p, 720p A disgraced member of the Russian military police investigates a series of child murders during the Stalin-era Soviet Union. Dracula Untold (2014) BluRay 480p, 720p As his kingdom is being threatened by the Turks, young prince Vlad Tepes must become a monster feared by his own people in order to obtain the power needed to protect his own family, and the families of his kingdom. Justin and the Knights of Valour (2013) BluRay 480p, 720p A young boy becomes a man as he embarks on a quest to become a knight. Victor Frankenstein (2015) Bluray 480p, 720p Told from Igor's perspective, we see the troubled young assistant's dark origins, his redemptive friendship with the young medical student Viktor Von Frankenstein, and become eyewitnesses to the emergence of how Frankenstein became the man - and the legend - we know today. Admiral (2015) Bluray 720p When the young republic of The Netherlands is attacked by England, France and Germany and the country itself is on the brink of civil war, only one man can lead the country's strongest weapon, the Dutch fleet: Michiel de Ruyter. Me Before You (2016) Bluray 480p, 720p A girl in a small town forms an unlikely bond with a recently-paralyzed man she's taking care of.